Biofuels, including Biodiesels, are processed from many different biomasses and are analyzed in refinery laboratories for many of the same reasons that petroleum products are analyzed. 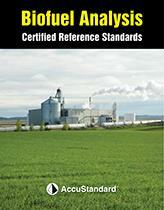 AccuStandard’s Biofuels line includes FAME mixtures for the most popular biomass sources, FAEE mixtures, standards for Sulfur analysis, Physical standards and Wear Metal standards. 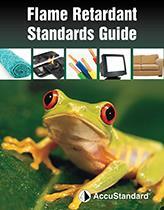 All standards adhere to ASTM, EN and IP methods. Includes 209 congeners, EPA Method 1668, 680 and 8082, Congener Specific PCB Analysis,PCB Congener Calibration Mixtures, Instrument Test Solution, Aroclors, and PCB Metabolites. New products include 6 new Methoxy PCBs, 10 new Polychlorinated Terphenyls, and 6 new Chlorodiphenyl ethers. The Consumer Products Safety Commission (CPSC) has proposed banning the use of several phthalates in materials for children’s toys. In 2008, a congressional edict banned dibutyl, n-butyl benzyl and di-2-ethylhexyl (DEHP) phthalates as potential health risks. Diisononyl (DINP), di-n-octyl (DNOP) and diisodecyl (DIDP) phthalates also were banned on an interim basis. CPSC’s advisory panel now recommends a permanent ban on DINP, but says the ban on DNOP and DIDP should be lifted. In addition, the panel is considering a ban on diisobutyl, di-n-pentyl, di-n-hexyl and dicyclohexyl phthalates. AccuStandard offers a comprehensive listing of explosive standards traditionally used for the remediation of soil and water in locations where explosives have been stored. These standards are also used to calibrate baggage screening detectors at airports and other secure locations (embassies and other government buildings) and the training of animals to sniff out dangerous compounds by police departments and the military. Among the 60 single analyte compounds offered as dilute solutions are TATP, TEGDN, PETN and HNS. Mixtures designed for US EPA Methods 8330, 8095 and 529, German DIN 38407-21 are also available. New standard includes 3-Nitro-1,2,4-triazol-5-one (NTO). Neonicotinoid pesticides have been linked to Colony Collapse Disorder (CCD) and directly to bee fatalities. Now, researchers believe that neonicotinoids also produce long-term adverse effects on the quality and efficiency of bee pollination. Based on a recently published article in C&EN (Nov. 23, 2015), it appears that bees exposed to these pesticides become less effective pollinators. According to the article, bee colonies exposed to a neonicotinoid pesticide visited apple blossoms less frequently and carried less pollen to their hives. The authors conclude that “…exposure to pesticide can reduce the delivery of pollination services by bumblebees”. A related event involves a lawsuit against the US EPA to ban the pesticide Sulfoxaflor. This pesticide uses a mode of action similar to that of the neonicotinoids, and may have the same adverse effect on bees. Environmental and beekeeper groups won the lawsuit forcing the EPA to ban the sale of the pesticide. Biocides are defined as chemical or micro-organisms which prevent, control and/or render harmless bio-organisms through chemical or biological means. They are used wherever bio-organisms may cause product contamination or a health threat to people and/or animals. Biocides can be added to other materials to protect them against biological growth or infestation. Biocides are used by workers in all types of industries to control viruses, bacteria, fungi, insects and animals. The intended use and chemical potency of biocides require that their use, storage and disposal be controlled to prevent adverse effects to the public and/or environment. AccuStandard offers an extensive line of Biocide Standards to assist with assessing the active substances within commercial products and complying with Biological Products Directive 98/8/EC (BPD). 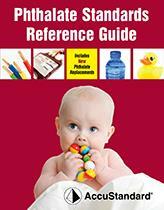 That directive has been recently revised and is now designated as EU Biocides Regulation 528/2012 (EU BPR). We have developed hundreds of pure chemical compounds for companies and governmental agencies around the world. Our well equipped synthetic laboratory with significant analytical support have made many notable synthesis projects possible, including 209 PCB and 209 PBDE congeners. AccuStandard specializes in synthesizing chemicals of high purity to be used as reference standards, and also offers custom synthesis capability on milligram to kilogram scales.